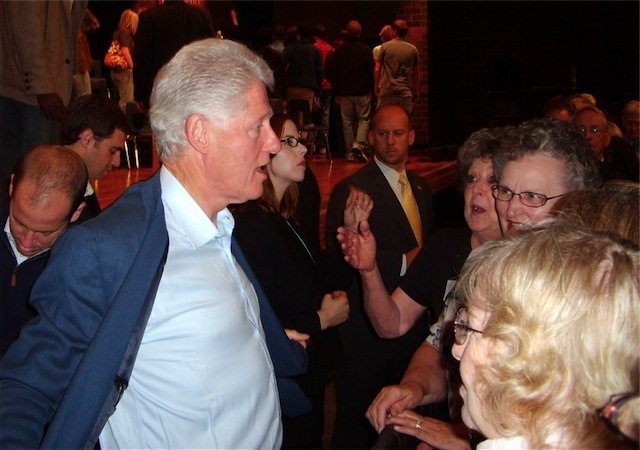 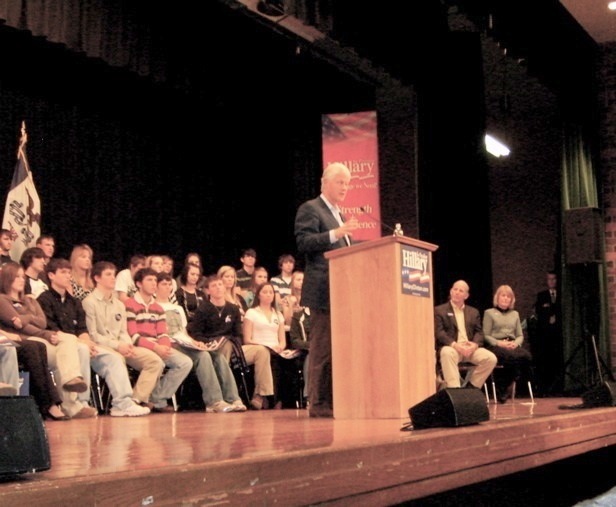 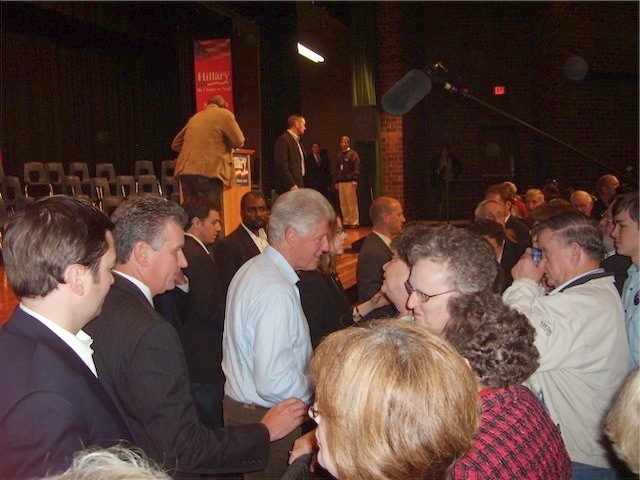 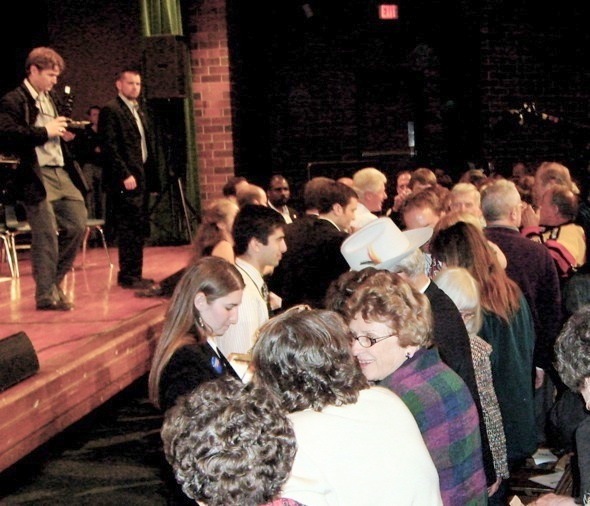 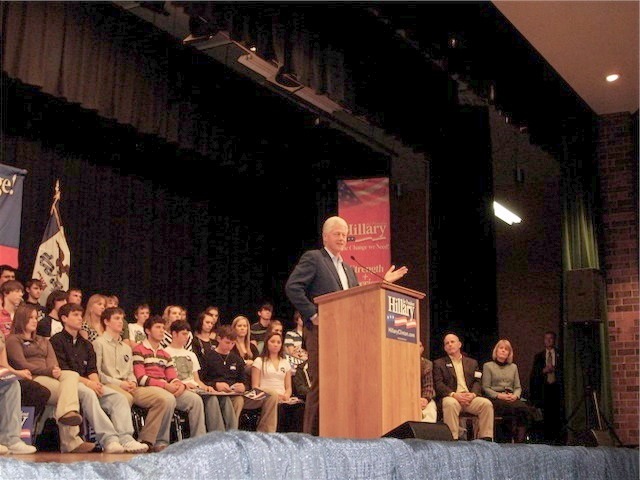 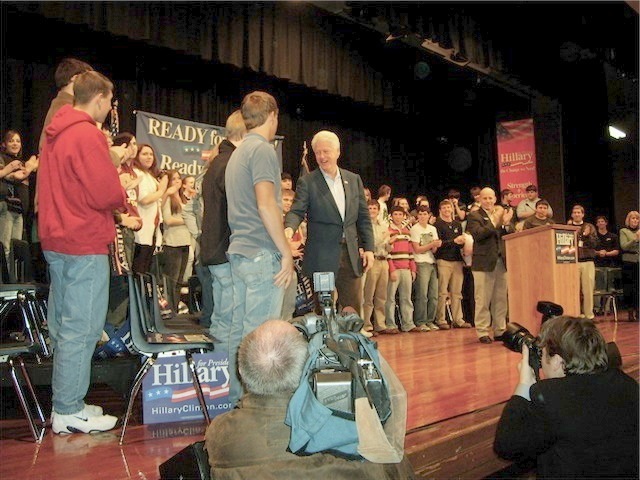 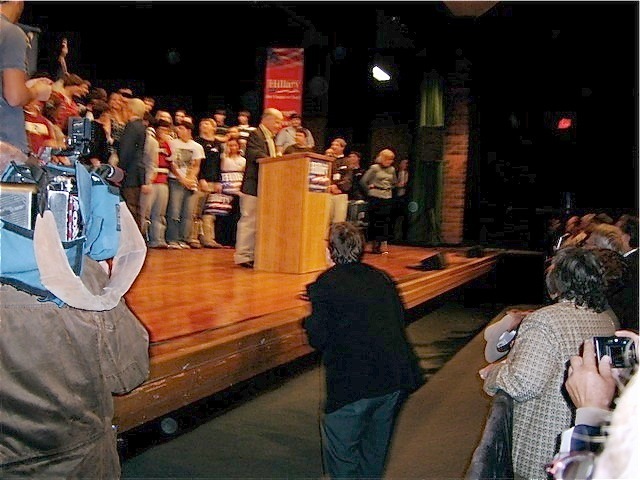 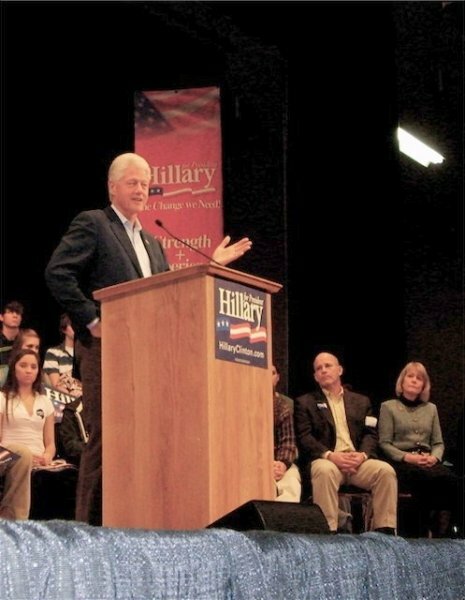 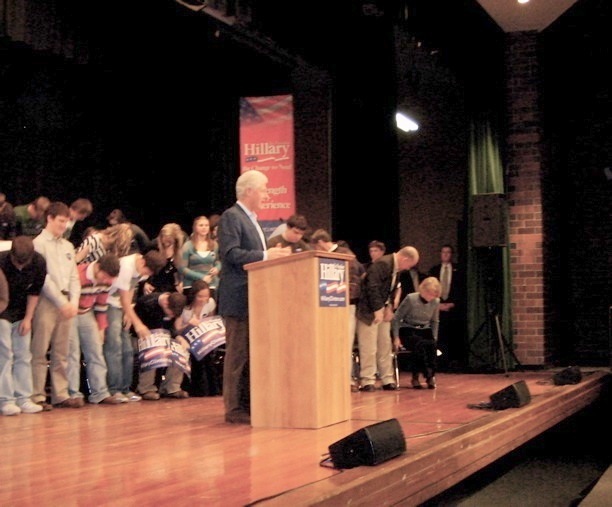 On Thursday, November 8, 2007, President Bill Clinton spoke at the West Monona High School in Onawa, IA, in behalf of his wife, Senator and Presidential candidate Hillary Clinton. 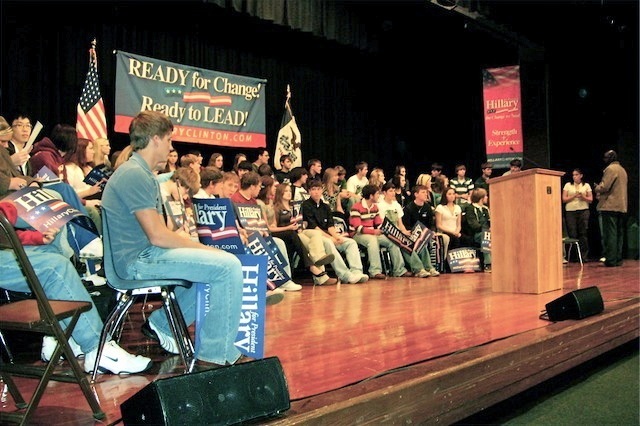 Seated on stage behind President Clinton were West Monona Seniors, who had the opportunity to visit with and have photos taken with the President immediately following the address. 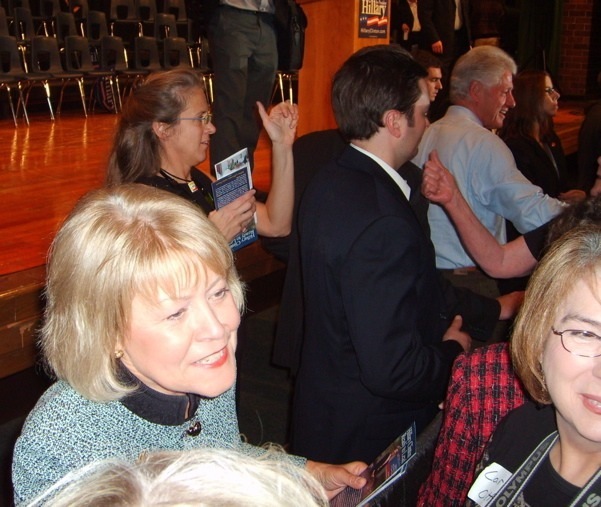 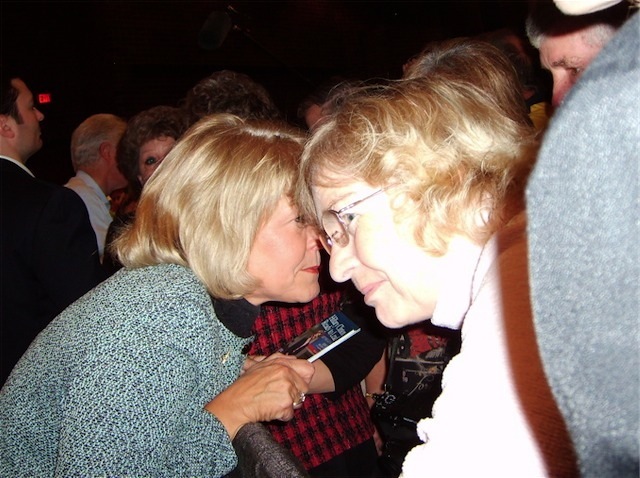 Also speaking at the event were former Iowa First Lady Christie Vilsack and Jim Schaben, Jr. 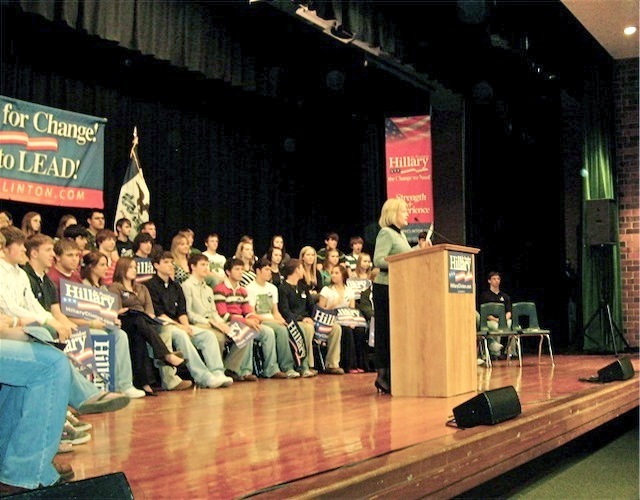 NOTE: Click any photo to view larger slideshow with photo descriptions.